On the last dinner of their visit, I decided to take my friends to some historically traditional New Orleans Italian food. 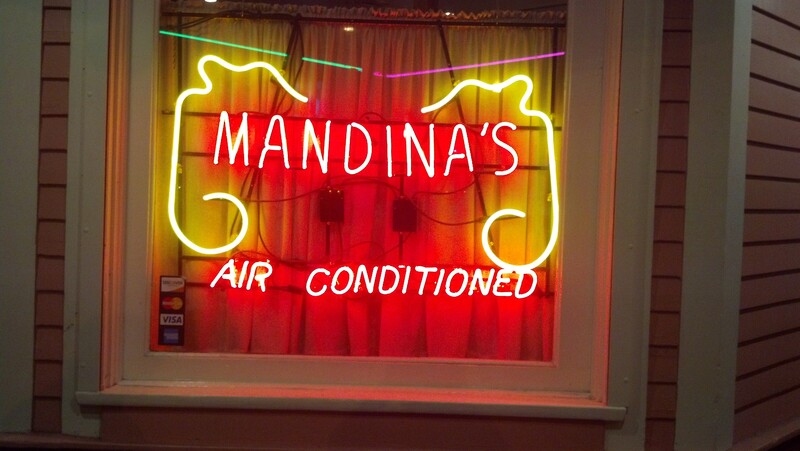 We went up Canal, into MidCity to go eat at Mandina’s restaurant. Very traditional Creole, it could use a few fresh vegetables in the kitchen (the green peas and green beans were out of a can). All in all, though, the large portions and neighborhood feel made my friends very happy. 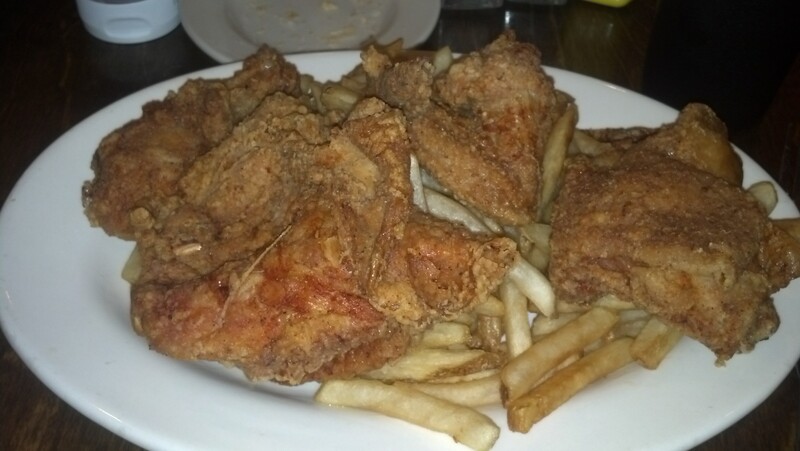 I went with the fried chicken. Tasted a lot like my mama makes it, which is to say just a flour crust and bit little bland. Good and hot and on a bed of fries, so lots to eat here. 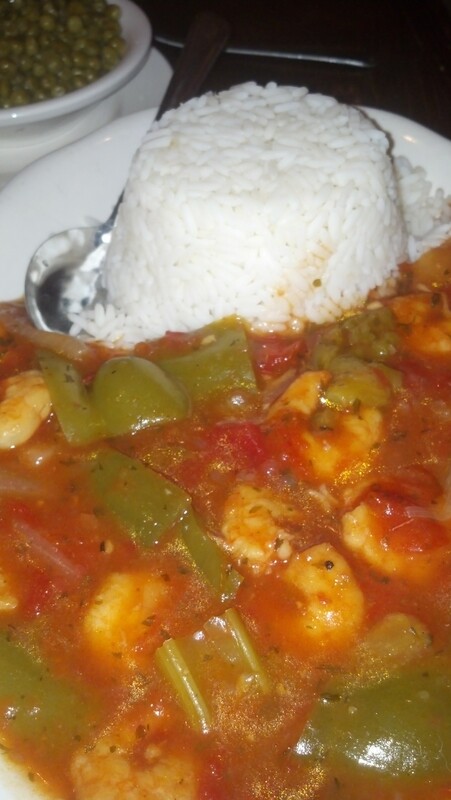 Michelle ordered the shrimp creole and it had lots of shrimp swimming in a spicy tomato sauce with large pieces of celery and green bell peppers. The green peas that came on the side were definitely out of a can. 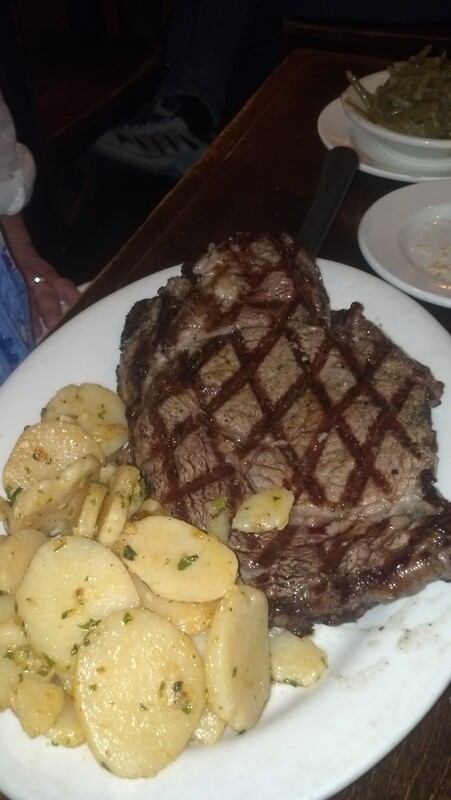 Jennie’s rib eye was a little thin but cooked to a perfect medium rare consistency. 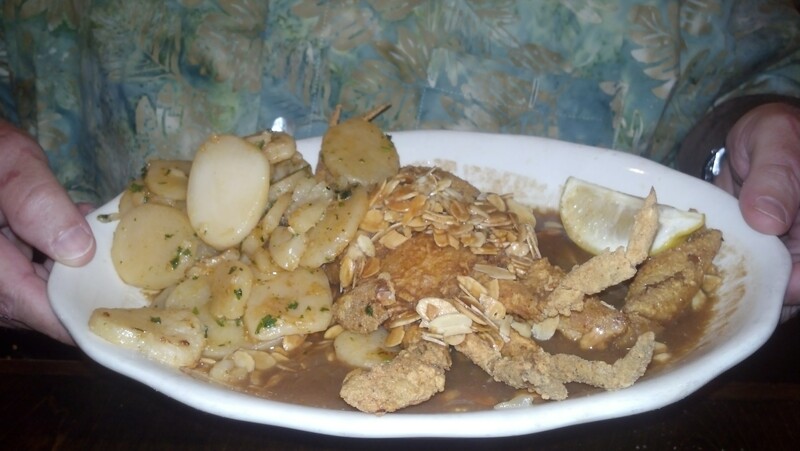 Brian went for the house special soft shell crab with an allmondine meuniere sauce (brown butter with toasted almonds). It was a truly delicious and a must try for crab lovers. 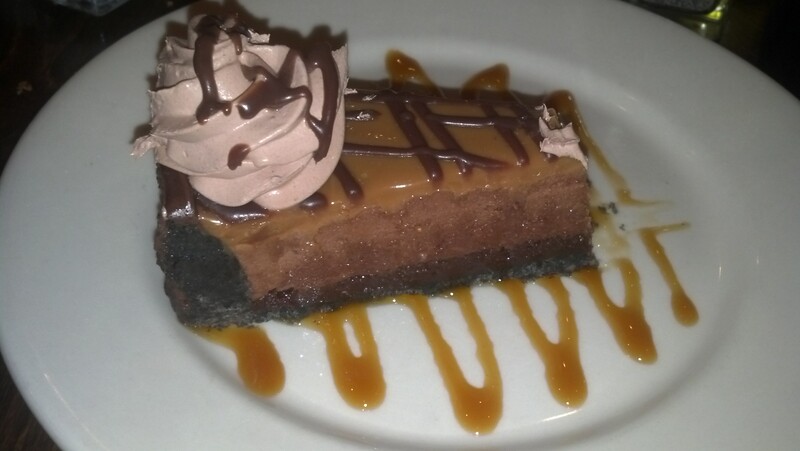 The Milky Way Pie that we split was very good but not made in house. The service was attentive, with quick refills and ready with menu suggestions and friendly banter. 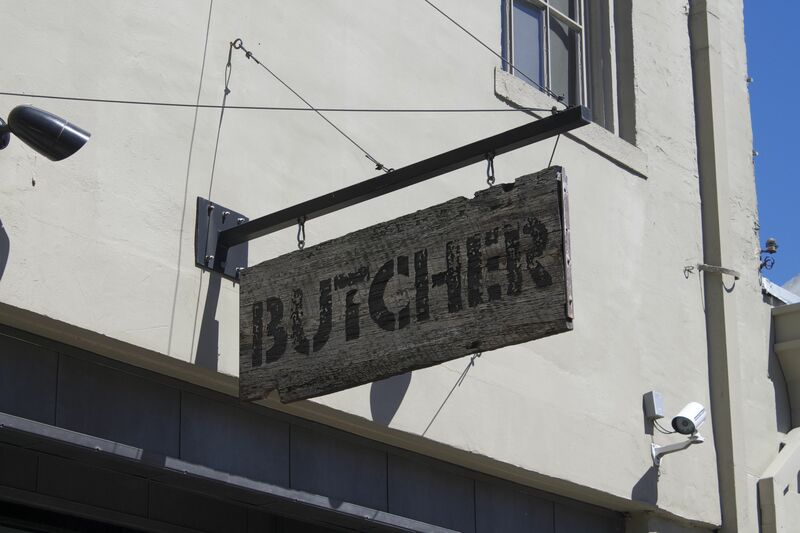 This may not be the most cutting edge dinning experience in New Orleans but it is old school comfort food and worth experiencing. 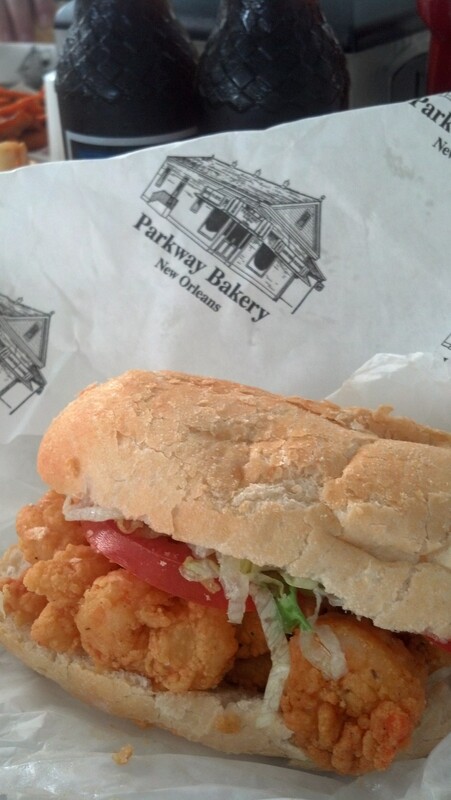 I ordered the fried shrimp po’boy. Crusty bread and plump fried shrimp filling it to overflowing. Quite tasty and went very well with my Barq’s root beer. 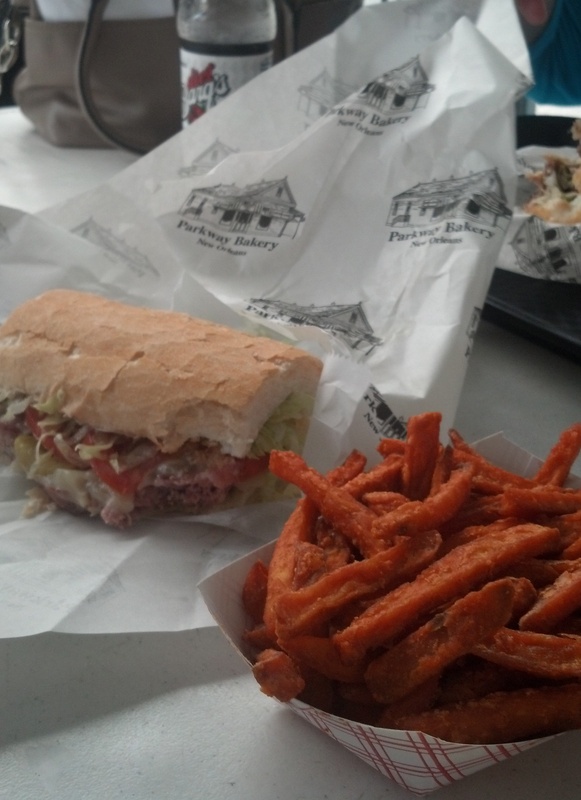 Michelle had the alligator sausage po’boy and the sweet potato fries. Nice smoked sausage flavor with a good spice but no particularly strong alligator taste (which actually may be a good thing). The sandwiches are made pretty quickly and the staff is rushed but friendly enough. The outside area has lots of fans to keep the flies and heat at bay. With friends in town, I just had to take them for one of the BLT’s on the planet, much less the city. 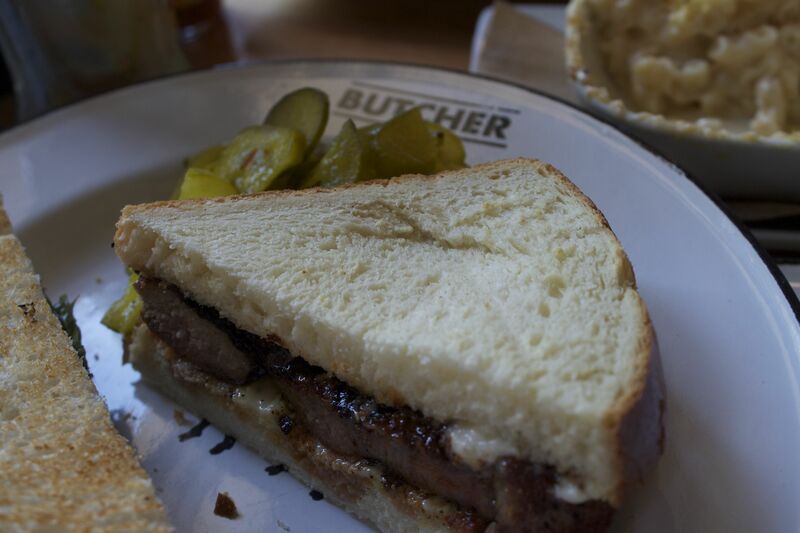 Cochon Butcher is the sandwich shop and butcher store next to the awesome Cochon by Chef Donald Link. Since the last time I’d been, they’ve expanded the place and added a bar and a ton more seating. It is still very packed for lunch but the lines moves quickly to the register and you’ve got lots of things to look at while you wait for your food. 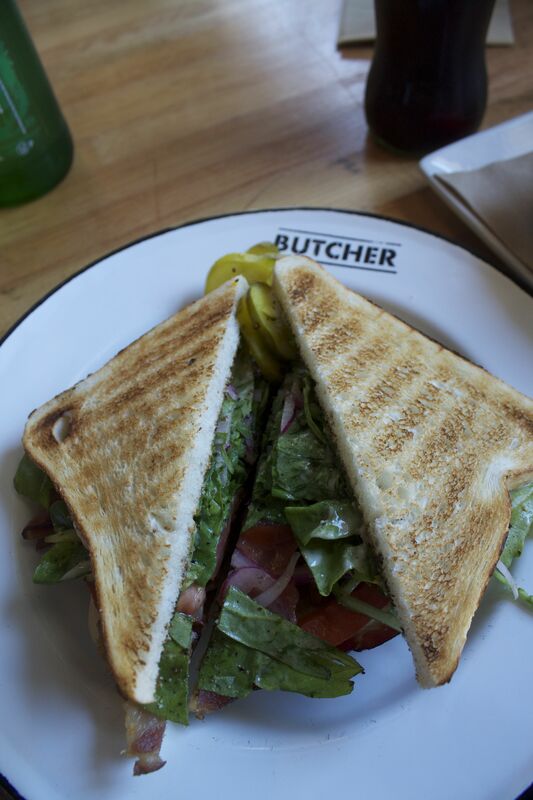 Brian and I had the BLT – thick house cured bacon, pickled onions, lettuce and tomato make for a delicious combination. 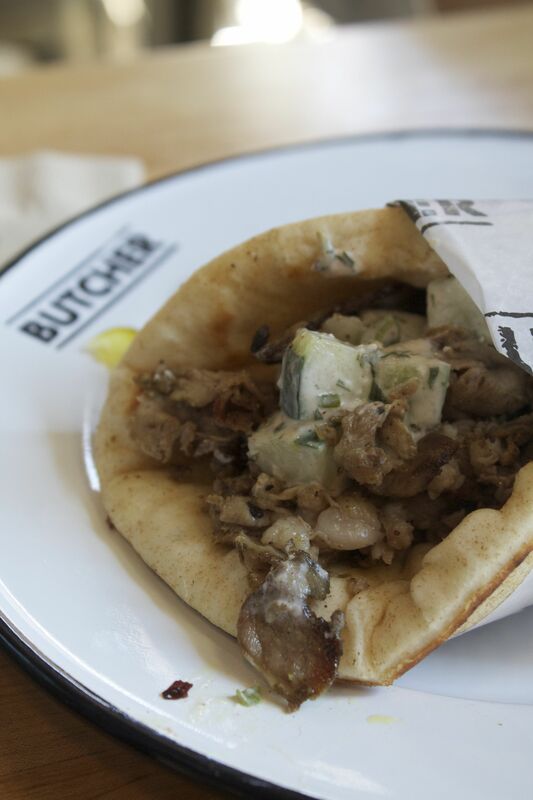 Michelle had the lamb sandwich with tzatziki, cucumber and mint on flatbread. The lamb seemed almost understated with the strength of the other ingredients. 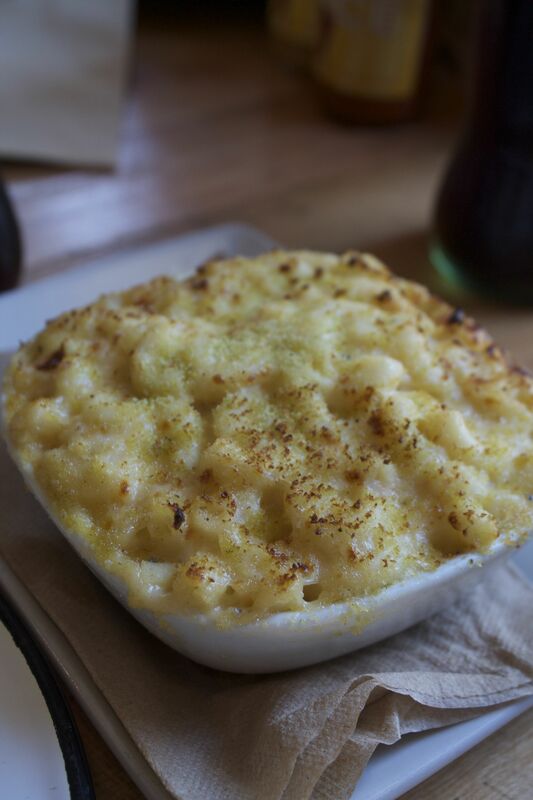 We also enjoyed a side of their mac and cheese – very rich and delicious. So good we ordered a second one! Jennie got today’s special which was a hot sausage sandwich. Lots of heat and flavor between two slices of bread! The place is pretty noisy but the line moves quickly and the sandwiches are worth a little wait while they put them together. Very much recommend this place for lunch. One can’t be a good Southerner and not like banana pudding. It just isn’t possible. Of course, there are as many ways to make it as there are amens in a Baptist church. Many a relationship has been torn asunder because someone else didn’t make it the way their mama used to make it. My mom makes it following the recipe on the box of ‘Nilla wafers. 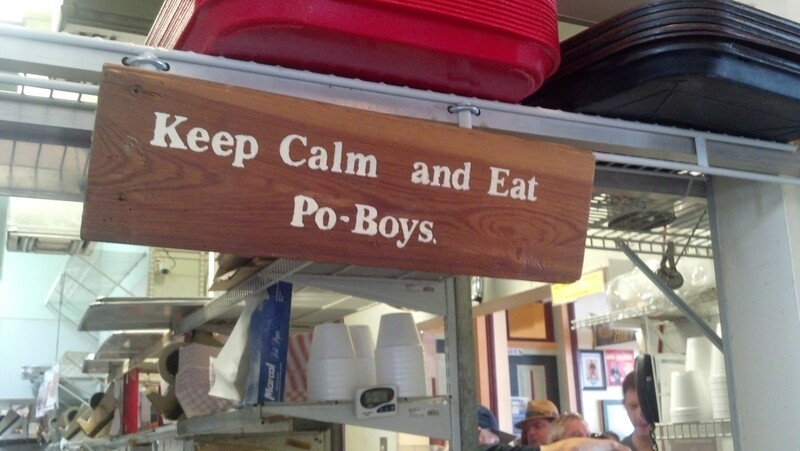 While I like that way fine (and always have room for second helpings), I take it a step or two farther. For one, I roast about half the bananas and mix them in with the custard to make the pudding really banana-y. Second, I’m not a meringue fan, so I prefer a whipped cream topping. Start by roasting 3 of the bananas – heat oven to 325 degrees. 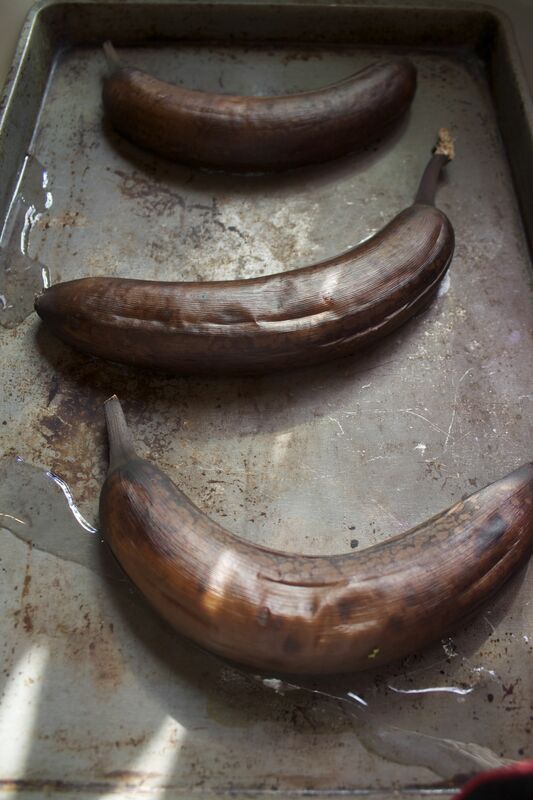 Place 3 unpeeled bananas on baking sheet and bake until skins are completely black, about 20 minutes. Let cool to the touch. Peel and slice remaining bananas and set aside. Meanwhile, mix sugar, flour and salt on top of double boiler. Blend 3 egg yolks into the half and half and then stir into the dry ingredients. Bring the water in the bottom of the double boiler to a boil and cook uncovered, stirring constantly for 15 minutes or until thickened. Remove from heat and stir in vanilla extract. Transfer pudding to food processor. Add warm peeled roasted bananas and process until smooth. 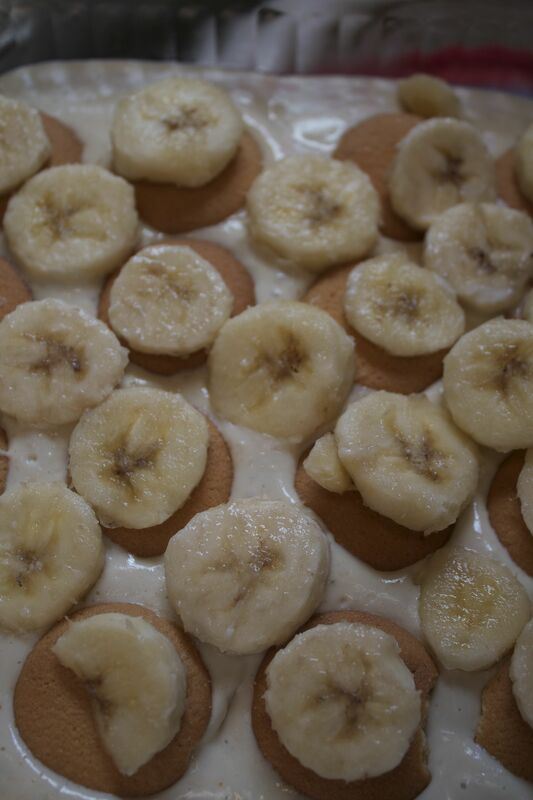 Spread small amount of custard on bottom of 2 quart casserole, cover with a layer of wafers and a layer of sliced bananas. Pour about half of custard over bananas and continue to layer, ending with custard. Bake at 350 degrees F for 15 to 20 minutes. Cool slightly or refrigerate. For the Whipped Topping – With electric mixer on medium speed, beat cream, sugar, and vanilla until stiff peaks form, about 2 minutes. (Whipped cream can be refrigerated for 4 hours.) 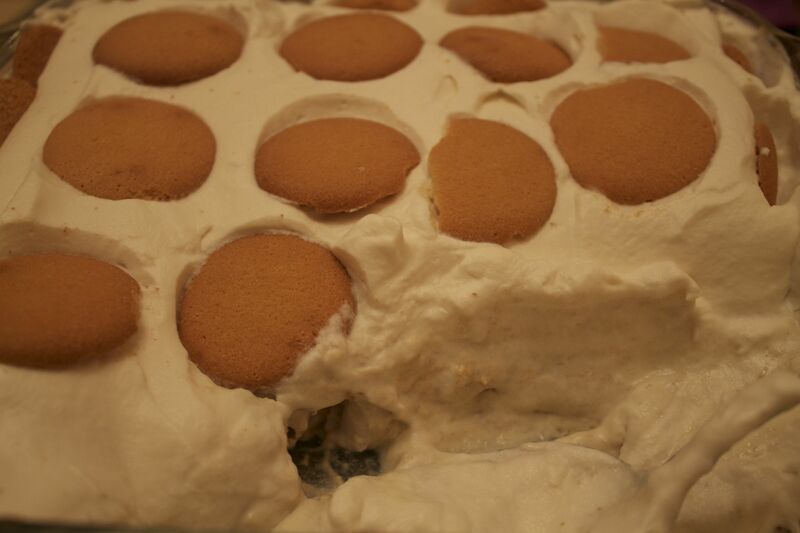 Top banana pudding with whipped cream. Serve. 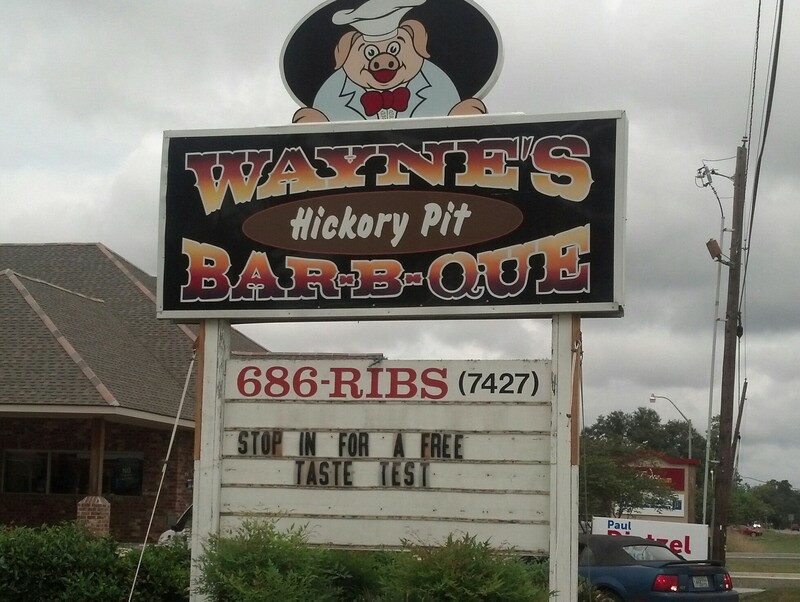 Driving back from Baton Rouge today, we took the scenic road home which took us past Wayne’s Hickory Pit BBQ. It is midway down S. Frost Road between Florida Blvd (190) and I-12 They offer free taste tests and there are cords of hickory wood stacked up in the back. I was very stoked by these encouraging signs. Obviously, they haven’t spent much on ambiance. There is a serving counter where you walk in and lots of deer heads (and some longhorns) on the walls of the small dining room. However, the folks are very friendly and Wayne sits at one of the booths watching all that goes on in his place. 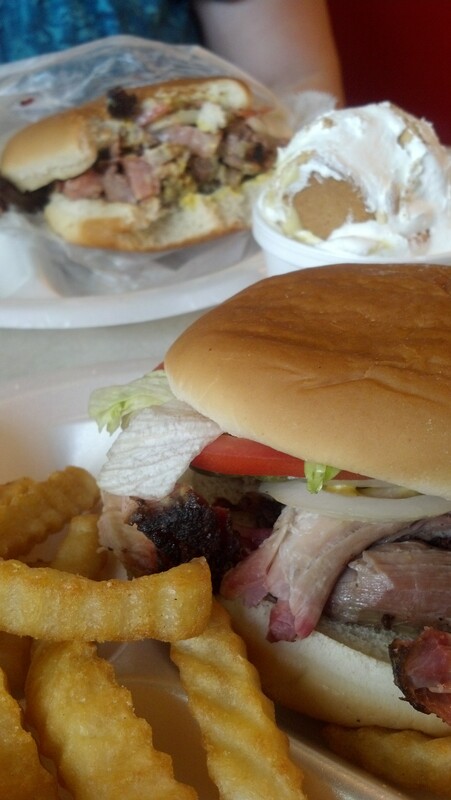 I ordered the bbq pork sandwich plate with fries – large pieces of meat, very juicy and smokey. One oddity was the use of mustard over bbq sauce but it went pretty well with the meat. Overall, high marks for the pork. Michelle had the bbq beef sandwich plate with coleslaw – the meat was in smaller pieces but still quite good. Not quite as juicy as the pork, it still tasted of smoke. The coleslaw was a little salty but that was a good offset for the overfilled sandwich. We also had the banana pudding. In a word, awesome. Might even be better than mama used to make! Fresh made as the wafers were still crisp and had a whipped cream topping. The servers were friendly and the prices are rather good. Had it not been raining (and if we didn’t have the dog in the car), we would have gotten our meal to go as the dining room is very small. Next time, we will also give the racks of ribs a try as well.